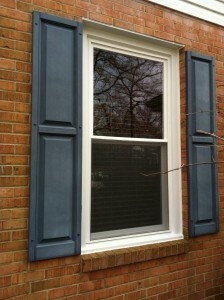 High quality replacement windows installed by Homecraft®, Inc. feature advanced technology to help reduce energy loss. This efficiency can actually be measured. And it is, by an independent testing laboratory known as the National Fenestration Rating Council (NFRC). Any replacement window Delaware homeowners purchase should have an NFRC label affixed. NFRC is an independent, non-profit organization that administers the only nationally accepted rating system for energy performance of windows, doors and skylights. The NFRC provides fair, accurate and reliable energy performance ratings so that architects, engineers, builders, code officials, contractors and homeowners can compare different products and make informed choices. You will find an NFRC label on every window installed by Homecraft®, Inc. This is independent proof of the quality and energy-saving properties of the window.